WWII veteran and ex-gangster, Joe Gray (John Russell) is subpoenaed to testify against his uncle and current mob boss, Nick Mancini (Luther Adler). 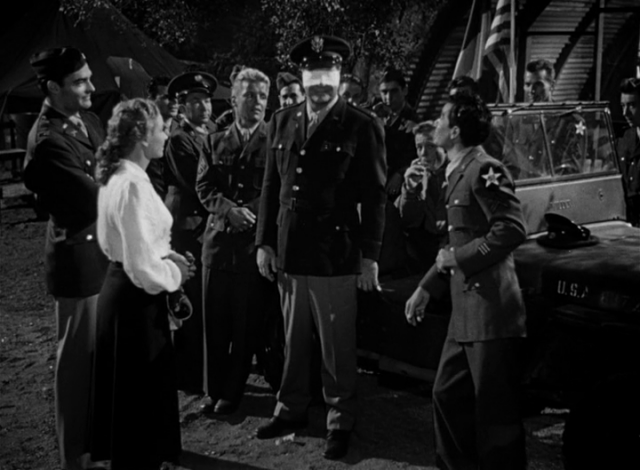 Nick must restrain Charley Pignatalli (Forrest Tucker), his violent second-in-command, from killing Joe before he his court appearance. John Russell plays Joe Gray, a gangster who learned the truth about The American Way from his buddies during WW2 and, after distinguished service, decided to go straight. 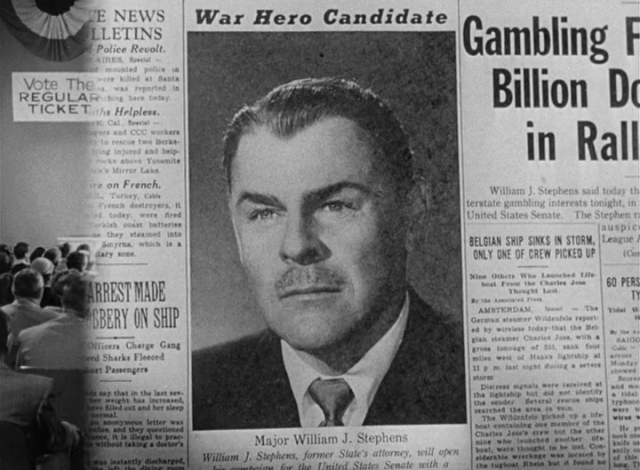 But his former commander, William J Stephens (Brian Donlevy), who is now a crusading Senator heading a committee investigating organised crime, subpoenas him. 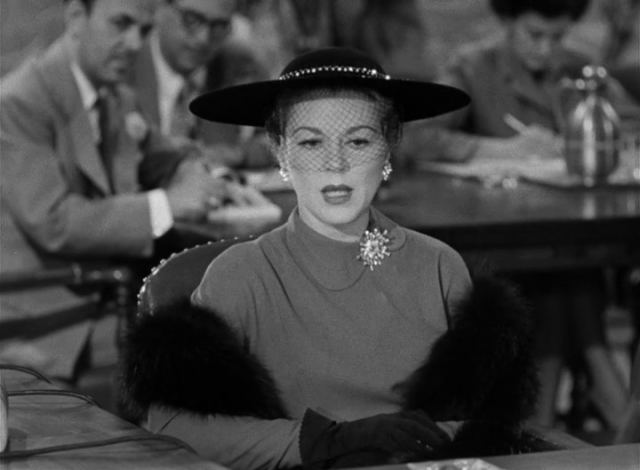 Gray must face his ex-girlfriend Connie Williams (Claire Trevor, the best thing in the picture) and his old friends, who are out to stop him testifying at all costs. 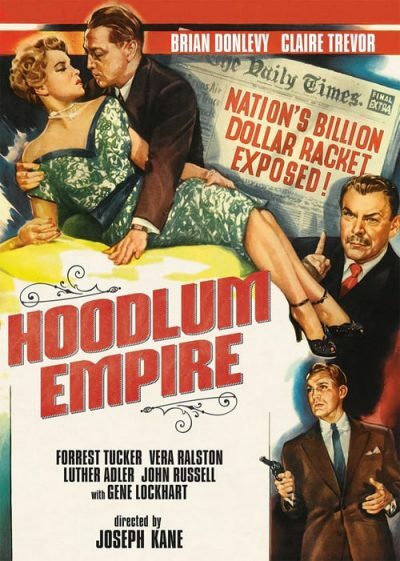 The Kefauver Committee’s ongoing investigation of organized crime, which was televised in the US, spawned several “Torn from Today’s Headlines!” films in the early 1950s. In Republic’s Hoodlum Empire, Joe Gray’s “reclamation” at a public hearing prompts a series of flashbacks that fill in the backstory. Part of the fun is to guess who all the “fictional” criminals are really supposed to be: Luther Adler’s character may be called “Nick Mancani,” for example, but to all intents and purposes Adler is playing Frank “Fifth Amendment” Costello. 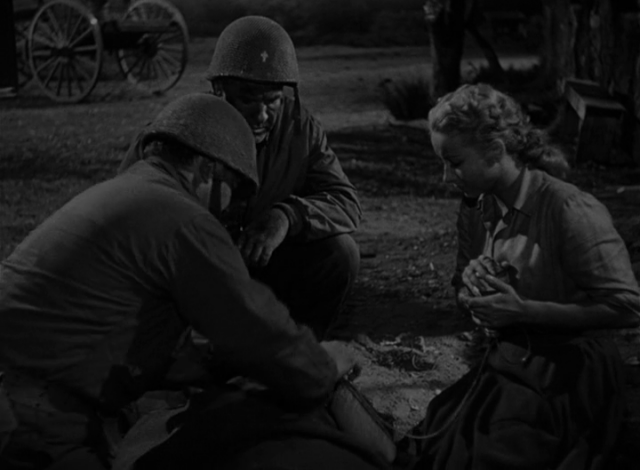 Other famous underworld personages are impersonated by Claire Trevor, Forrest Tucker and Roy Barcroft. 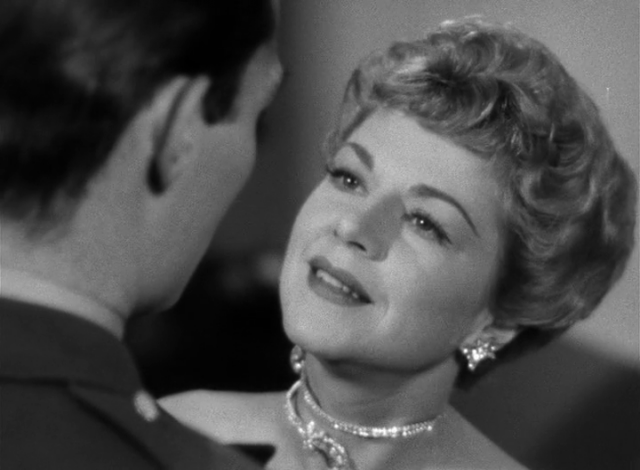 Filling out the cast is the notoriuous “Worst Actress Ever”, Vera Hruba Ralston, the casting-couch “protégé” of Herbert Yates, 70 year-old owner of Republic Studios. 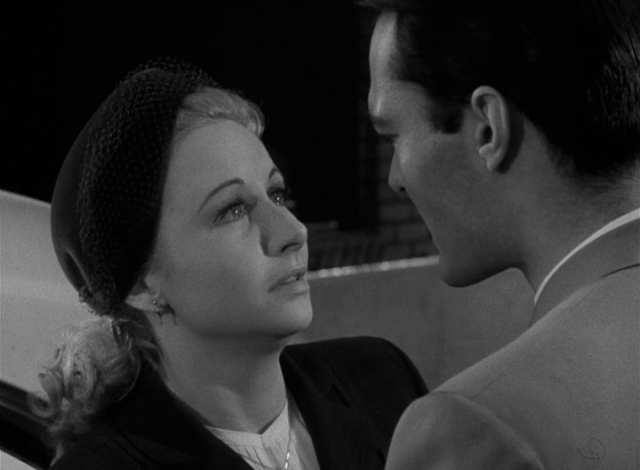 For many years, her inability to master English, let alone acting, defied Yates’ efforts to make her a movie star.